At Philanthropiece, how we do our work is as important as what we accomplish. We are committed to serving defined needs in local and global communities, to emphasizing our values in all that we do, and to engaging with diverse individuals and communities. We enter with humility and an openness to learn. Cultivating relationships allows us to understand the power, as well as the needs, of an individual or a community. In this phase of our approach, we build relationships over coffee and via participation, we grow our understanding of a theme or an issue via research and dialogue, we show up and stand alongside those whom we hope to accompany, and we offer initial resources. Here are some of the relationships that we are proud to be cultivating at Philanthropiece! Philanthropiece values inclusion, and in our home community this means welcoming people from all cultures, countries, and backgrounds. We participate as member of CIRC in the North Region, lending our voices and our presence at meetings, workshops, and rallies. We are proud to support CIRC’s Annual Statewide Assembly. 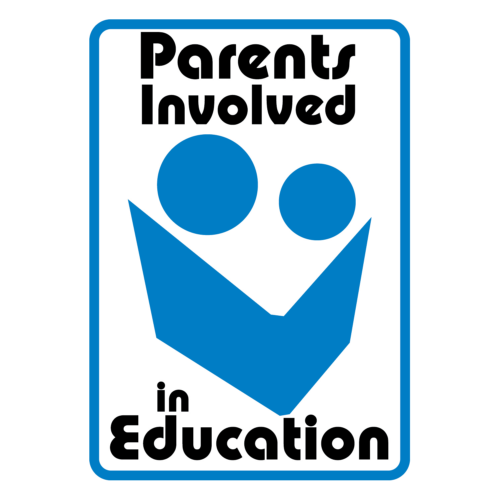 Philanthropiece is a collaborating partner of Boulder County’s Parents Involved in Education (PIE) program. We believe in the power of putting the tools, resources, and education directly into the hands of parents, who will in turn support the growth and wellbeing of their children. We are honored to accompany the changemakers of Centro Amistad as they create opportunities and programs that promote healthy equity, education, and quality of life for the Latino community in Boulder County. We are proud supporters of Centro Amistad’s annual Cumbre de Mujeres Compañeras, and we are currently collaborating with Centro Amistad to promote our Community Savings Groups initiative here in Boulder County. We are collaborating with ELPASO Movement to offer Community Savings Groups to Latino parents throughout Boulder County. 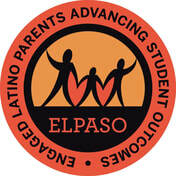 ELPASO is a movement creating a critical mass of Latino parents who are well informed and skilled to help their children enter kindergarten ready. ELPASO builds Latino parent voices, connects them to resources and to each other, and recognizes the incredible leadership, strength, and resiliency of this community to create change together. We believe in the power of an individual or small group to make big change. And we know that at times all that is needed is a spark, a supportive hand, or a few nudges to create it. In our co-creating state, we collaboratively design a working agreement and commit to dedication of time and resources to develop the mission, approach, strategy, and sustainability plan of an organization, initiative, or movement. Here are some of the initiatives that we are fortunate enough to be co-creating! Rooted in our value of inclusion, we are committed to sustainability and environmental justice, which made our collaboration with JTC an excellent fit. We initiated our partnership with JTC in early 2017, just as the City of Boulder adopted a Climate Action Plan rooted in equity and justice. Through our partnership, we have been involved in the co-creation of the Climate Justice Leaders initiative which works to build the leadership capabilities of directly impacted and underrepresented community leaders. The Climate Justice Leaders contribute their voices and experience to a more equitable climate and energy policy and to related community projects, and we are proud to champion and support Magnolia Llanda-Posas, JTC's Community Engagement Manager, as a prominent changemaker in our local and national community in the field of eco-social justice. 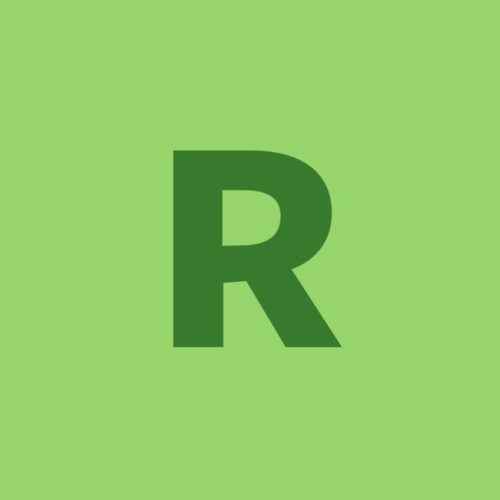 Philanthropiece is a coordinating partner of Right Relationship Boulder (RRB). The RRB is a group of Native and non-Native people working with local governments and organizations to help all Boulder Valley residents learn about the Native peoples who lived here historically and those who live here today. RRB's goal is to promote and practice right relationship with Native peoples. We acknowledge that the land where we live today is the territory of the Hinóno'éí (Arapaho) people. We honor Chief Left Hand (Nawath), leader of the last Hinóno'éí band to spend their winters in the Boulder Valley. Many Hinóno'éí people were massacred by the US Cavalry at Sand Creek, Colorado, in 1864. The survivors were forced out of Colorado to reservations in Wyoming and Oklahoma, where most Hinóno'éí live today. In our daily lives, let us remember that the Boulder Valley is home to the Hinóno'éí people and to many other tribes that also camped, hunted, and traded here for centuries. Native people of many Indigenous nations live here today. We believe that economic justice is critical for creating a better world. Over 30 million people in the U.S. are unbanked or underbanked, and we believe that Community Savings Groups (CSGs) are a response to this issue. That is why we are working alongside various local organizations and agencies - such as ELPASO, Centro Amistad, ReVision, I Have a Dream Foundation, and more - to initiate the CSG initiative right here in Colorado. A CSG is a group consisting of about 10-25 people who know and trust each other, and meet regularly to save money. The group also has an opportunity to issue small loans to one another with terms and interest rates that are decided upon by the group and included in a written agreement. 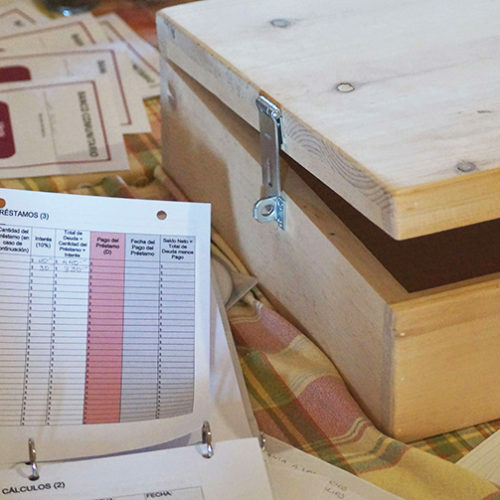 A CSG liquidates after an agreed upon period of time; at this share-out each member receives the money they personally saved as well as a share of the interest (if applicable) that they have earned as a group. They then begin a new cycle. 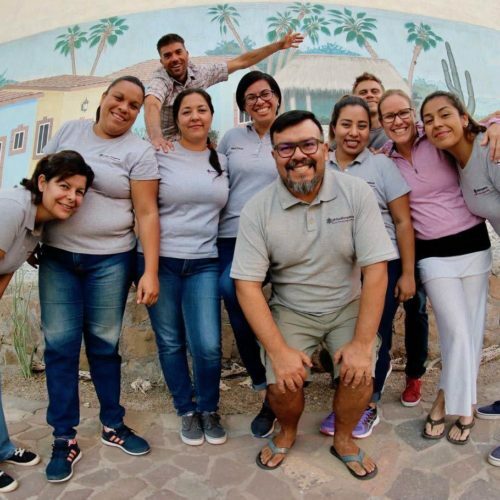 Since 2010, Philanthropiece has honed a culturally appropriate methodology and applied it to train community members in Mexico on how to form and implement CSGs. To date, over 1850 people in Baja California Sur, Baja California Norte, and Puebla are saving as a result of our CSG program. Now it’s time to bring it to our own backyard. 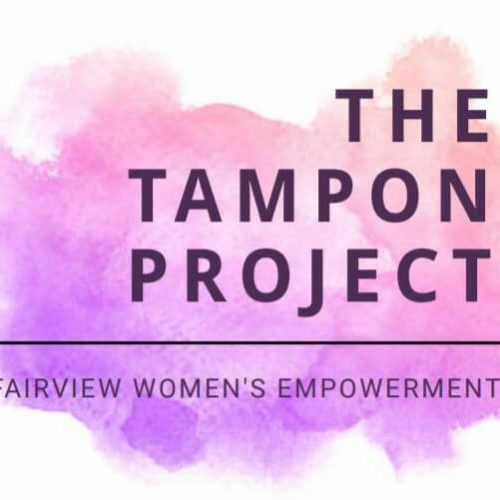 The Tampon Project arose out of the Women’s Empowerment Club at Fairview High School. Founded by youth changemakers Sarah Huang and Malaika Pervez, the group’s mission is to create a safe space within Fairview to talk about women’s empowerment as well as intersectional feminism and the topics surrounding it without judgment. They are also dedicated to taking action to improve the school community. That’s where the Tampon Project comes in! This project was kick-started when the group noticed a prevalent issue at their school - a lack of feminine hygiene products in our bathrooms. The project goals are to provide pads and tampons and to start a conversation to eliminate the stigma about periods. Philanthropiece is honored to work alongside Malakia and Sarah, as well as the members of the Women’s Empowerment Club, to support in the development of their design, strategy, and sustainability plan. Youth changemakers inspire us! We recognize that real change does not happen in a month or a year. That’s why, when our relationships turn into initiatives, and initiatives turn into locally-led organizations, we commit to the long haul. Our work in Guatemala and Mexico started by listening to local leaders, learning what they felt were their community’s best assets and most pressing needs. From there, projects turned into programs, and programs turned into autonomous organizations. While we are still closely tied as a Philanthropiece family, the work across borders is fully directed by local teams who are working diligently to make a difference in their communities, and to assure for operational and financial sustainability. Here is what authentic, sustainable change looks like! Filantropis invests in the potential of outstanding you to catalyze sustainable change in the local community via access to higher education and cultivation of social enterprises. 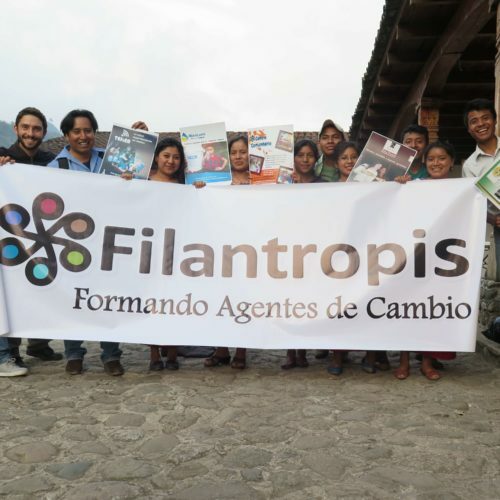 Filantropis ONG was formed as an autonomous Guatemalan civil association in 2015 and is a direct representation of the foundation's mission to build authentic relationships, and to co-create solutions with local leaders the forefront of design and implementation. The organization grew out of Philanthropiece Foundation's programs in Chajul, Quiche, and is lead by the same Mayan youth who are graduates of the programs. Filantropis' mission is to educate and train local youth to be changemakers in their community. Their programs focus on university scholarships, personal and professional development, social entrepreneurship, leadership, and civic engagement. The mission of Philanthropiece A.C. is to strengthen community resilience through building relationships and financial inclusion. Philanthropiece A.C. is an autonomous Mexican civil association based in the state of Baja California Sur. 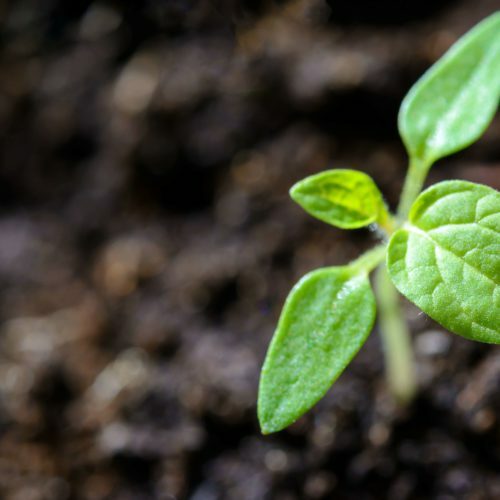 The organization grew out of Philanthropiece Foundation's presence in the state working alongside community leaders in the areas of renewable energy, small business development, environmental education, and rural health promotion. We believe that the basis of a sustainable family and community lies in access to financial services and education. In 2010, we initiated our first Community Savings Group in the rural fishing village of Laguna San Ignacio. Since then, we have drawn upon connections with the global savings group sector to develop a culturally appropriate methodology, and we have trained more than 1800 people in communities across BCS. Our programs are rooted in values of trust, social cohesion, leadership, and community engagement.